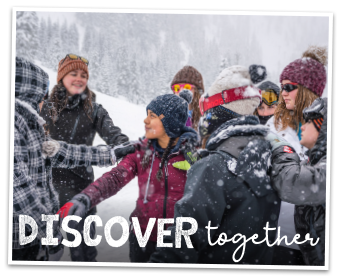 We believe that shared experiences in nature strengthen community. Coming together outside, we can leave behind the pressures that isolate, distract, and divide us. We learn, explore, and challenge ourselves, and find common ground. This is even more important for our children, who need time outside, with mentors and educators who can help them move beyond their fears of bullying, school shootings, a changing climate and an uncertain future. 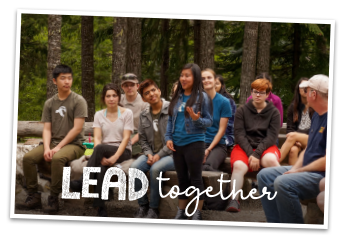 Your support of North Cascades Institute youth programs creates space for kids to learn, discover, grow, lead, restore, and share experiences that inspire them to action. 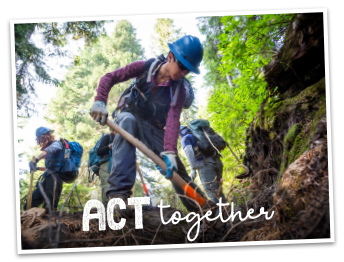 When we give together, we take a stance to act together to protect our beloved and troubled world! Give BIG for Youth this spring to maximize your gift with matching* funds! Or call (360) 854-2599 to make a donation by phone. For other ways to donate, see Ways To Give. Join us for Washington's largest online day of giving! There's no limit to the amount of good you can do. (Schedule gifts for all your favorite nonprofits as early as April 23). *Special thanks to Tom and Sonya Campion, The Sharing Foundation, and Drs. Sterling and Sandra Clarren for generously creating this challenge match. Every year there are kids that struggle in a classroom setting, but out in nature they are different: answering questions and coming alive. Mountain School provides a setting for them to succeed. Students return years later talking about their trip. I’ve learned to express my own ideas and opinions. Talking comfortably with others has expanded my view on becoming a leader. This trip has changed the way I think about leadership, other people, and having a voice. Our students live along Mt. Baker Highway, which ends at the stunning Artist Point vista. Yet most have never seen the viewpoint, played at the ski area, or hiked the trails. 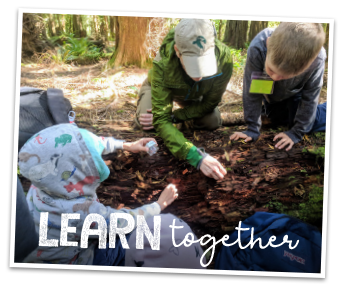 Hands-on experiments with inspiring instructors enhance students’ academic experience and instill connection to the natural world. My 12 days out here has made me more aware of my choices and how they affect the environment. I feel more prepared to educate others about climate change and how to show them the difference they can make. Thank you for giving big TODAY! North Cascades Institute has received FIFTEEN four-star ratings from Charity Navigator!